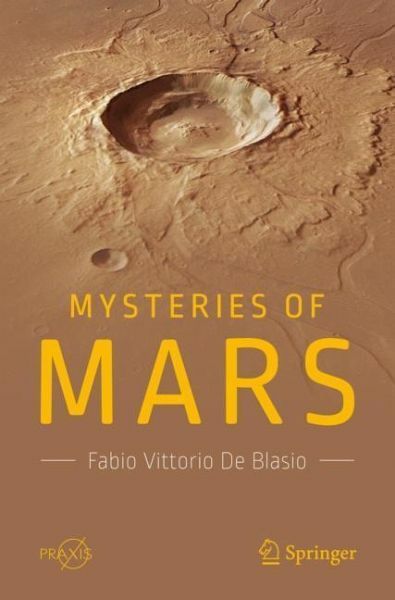 This book introduces the reader to the wonders of Mars, covering all aspects from our past perceptions of the planet through to the latest knowledge on its history, its surface processes such as impact cratering, volcano formation, and glaciation, and its atmosphere and climate. In addition, a series of ten intriguing open issues are considered in a more advanced way. These include such thought-provoking questions as What turned off the planet's magnetic field?, Why are the northern and southern hemispheres so different?, What was the fate of the once abundant water?, and Is there, or was there, life on Mars? Numerous original figures, unavailable elsewhere, reproduce details of images from Viking, CTX, MOC, HiRISE, THEMIS, and HRSC. The book will appeal especially to general readers interested in planetary sciences, astronomy, astrogeology, and space exploration and to students of Earth Sciences and Natural and Environmental Sciences. The higher-level material on the remaining mysteries of Mars will also be of interest to astrogeologists and other researchers. Fabio Vittorio De Blasio is a physicist and geologist who currently holds a research position at the University of Milano-Bicocca in Italy. He has been the recipient of many fellowships and has held the post of professor under contract at Oslo University and visiting scientist at the "Sapienza" University of Rome. In the 1990s, his research interests were in the fields of nuclear physics and nuclear astrophysics, but from 2000 onward his focus shifted toward the Earth Sciences, and especially the study of natural hazards and fluid dynamics as applied to geophysical problems. Since 2008, he has become more interested in the planetary sciences and the surface morphology of terrestrial planets. At present, he is studying the geomorphology of Mars and also examining meteoroid impacts and other features on icy planets, including the moons Iapetus and Europa. He has authored more than 80 articles in peer-reviewed journals as well as two technical books and three popular science books.